Thought to be one of the planet's oldest canine breeds, dating back to 4000 BC, modern discovery pinpoints their development to the 17th century, much later than previously speculated. The precise nature of its development is uncertain, although we know it was primarily bred as a hunter of small game, whether for the ancient Egyptians, the Phoenicians who are believed to have introduced the dog to the Mediterranean, or for the Maltese who appreciate it today. Declared the National Dog of Malta in 1974, the Pharaoh Hound shares its ancestry with the Cirneco Dell'Etna, Ibizan Hound and Portugese Podengo, being both a scent and sight hound. Other employments the Pharaoh Hound would have carried out include guarding, accompanying livestock to the pasture, and retrieving flushed woodcock and quail. Officially recognised by the American Kennel Club in 1983. Deep-chested, the breed possesses a large lung capacity for stamina when hunting, proportioned limbs, a narrow skull structure and high-set, pointed ears. The Pharaoh Hound's coat is very short, maintaining appearance and manageability, and most commonly appears in colours of fawn, red, tan and white. The elegant, slender frame of the breed is often likened to that of the Greyhound, however, there is not believed to be any genetical relation between the two. Pointedly, the Pharaoh Hound is selectively bred to endure long periods of time without food or water, a factor that would have greatly contributed to survival when hunting in warm climates with sparse, mountainous terrain. The Pharaoh Hound is a distinctive breed with distinctive care requirements; the breed thrives on attention and is thus suited to family environments, or to a dedicated sole owner. Due to their characteristically short coats, the Pharaoh is unsuited to extreme temperatures so should be housed indoors. Able-bodied and independent-minded, the Pharaoh Hound can often display disobedient, stubborn and aggressive behaviours when left to its own devices, so consistent training, firm leadership and early socialisation is imperative. On average, a healthy Pharaoh Hound will weigh approximately 20-25 kg, and have a life expectancy of 12-14 years when appropriate care is shown. Apart from being sensitive to certain medicines and insecticides, the Pharaoh Hound is a notoriously resilient breed. No genetic or breed-specific diseases are identified. 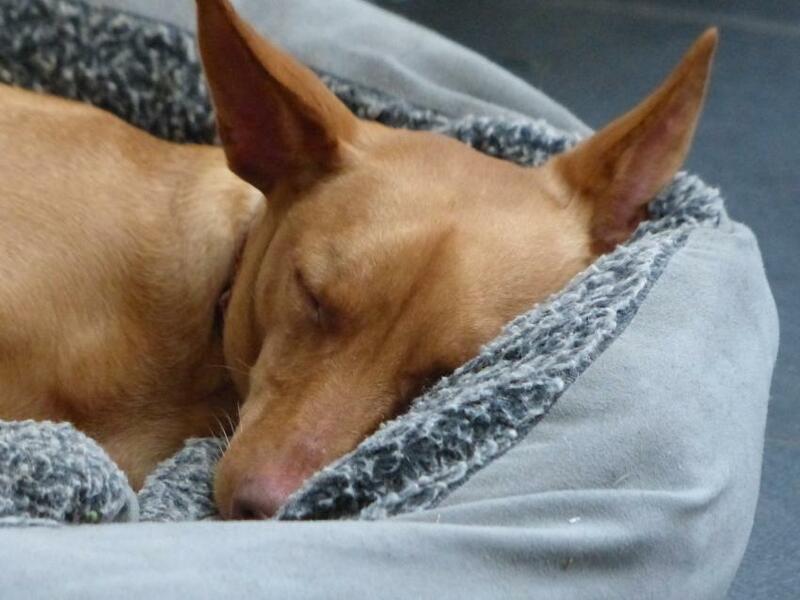 Do you own a Pharaoh Hound? Let others know what they're like!